Most people come to Palermo to enjoy the urban sights that Buenos Aires has to offer. There are several different sections, from mainstream to bohemian and from fashion and design to residential. And then there is Parque Tres de Febrero. This nearly 1,000-acre park is also referred to as the “Bosques del Palermo” (Palermo Woods). The park has been in existence in a variety of forms since 1875, and over the years it has undergone additions including a zoo, a botanical garden and a rose garden, as well as the world’s largest Japanese garden outside of Japan. The park is popularly used by pedestrians and cyclists and is busiest on the weekends, when you can even take a boat ride in one of the artificial lakes. Visitors can spend a couple of hours walking among the trees and over the bridges that cross some of the lakes, or sitting in one of the gazebos to enjoy the tranquil park. Parque Tres de Febrero contains many species of trees and plants from around Argentina (introduced and endemic), including eucalyptus, wide-buttressed ceibas and lavender-blooming jacarandas. Make sure to look up, as there are climbing vines and epiphytes, as well as up to 194 species of birds that have been seen here, including kingfishers and woodpeckers. In the summer the gardens also attract butterflies. Poetry lovers will want to check out the Poet’s Garden, with busts of Argentine and other famous poets, including, of course, one of Argentina’s most famous writers, Jorge Luis Borges. The park is accessible via bus 10, 34 and 130. Don’t get locked into an itinerary full of landmarks you’re not interested in or activities designed to make you part with your money. Explore Buenos Aires on your own terms with this open-ended full day bicycle hire. Take your bicycle out around the streets and side-alleys, parks and promenades of the city. Staff can provide you with advice and recommendations for where to go, and maps for your phone are available to help you navigate, but otherwise this tour is fully, refreshingly self-guided. See the best of Buenos Aires on your own terms. Skip the stress of navigating public transit and relax as your private driver and guide chauffeurs you around the sprawling city in comfort. Stop for a 3-course lunch at a landmark cafe, then spend the afternoon at your leisure before hitting the town for a night of tango at a renowned, intimate venue. Be absorbed in the passion of talented dancers and musicians while enjoying a classic Argentinian dinner with wine. Experience Buenos Aires by day and night on this private combo tour. Explore neighborhoods including San Telmo, La Boca, and Palermo on a personalized city tour; admire landmarks such as Caminito Street, Recoleta Cemetery, and Plaza de Mayo; then enjoy a thrilling tango dinner show at Rojo Tango. Cycle around Buenos Aires to see the sights from the seat of your own bike. On this 4-hour sightseeing tour, follow your cycling guide from the historic neighborhood of San Telmo through the streets to the political center of Plaza de Mayo. Continue at a comfortable pace to Retiro and Plaza San Martin, making plenty of rest and photo stops. 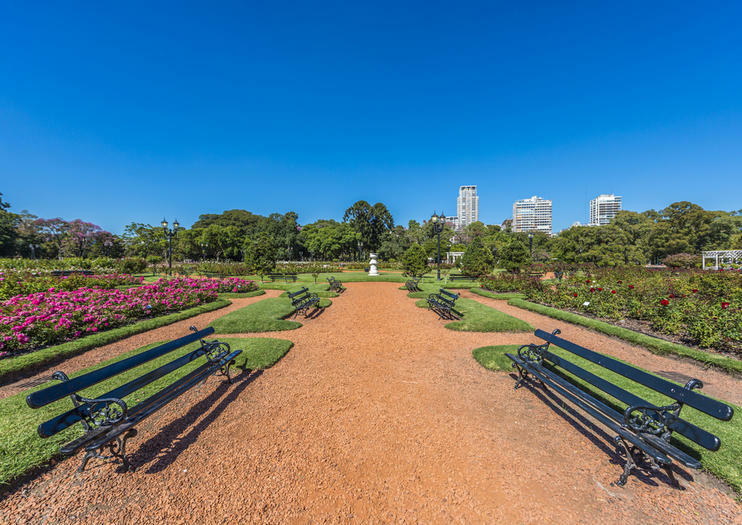 Explore Recoleta, Palermo and several of the city's bucolic parks. Use of all equipment is provided; this tour is suited for riders of all abilities.